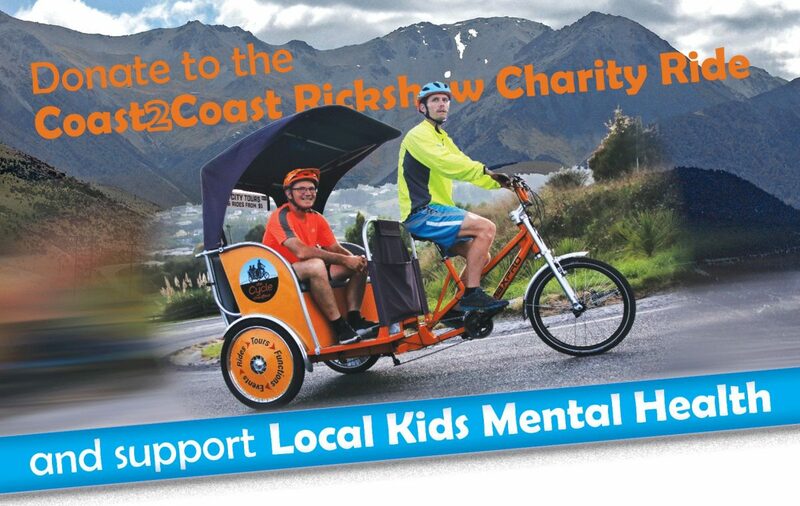 Sean Pawson and Josh Geddes are taking turns pedaling a cycle rickshaw 250kms across the South Island from Kumara Beach, over Arthurs and Porters Passes, crossing the Canterbury Plains, and ending up at New Brighton Beach in Christchurch. This undertaking has never been done before and it’s happening on the weekend of 24-25 March. 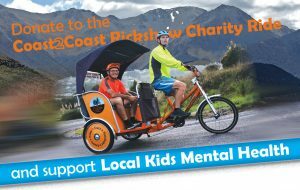 The aim of the Coast2Coast Rickshaw Charity Ride, is to raise a total of $10,000 for Stepping Stone Trust’s Caroline Reid Family Support Service who support children & families affected by mental illness. 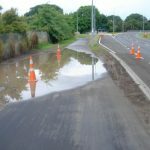 Steve Muir (cycletrailers.co.nz) is providing some signage trailers and riding in front of the Richshaw and others will provide travel support.